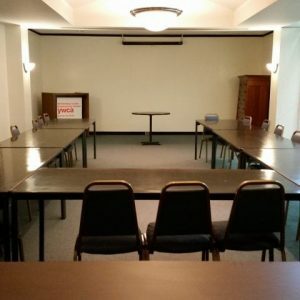 YWCA Central Carolinas offers three different meeting spaces for rent by the hour for corporate or business meetings only. YWCA members and nonprofits receive half off, see rates below. 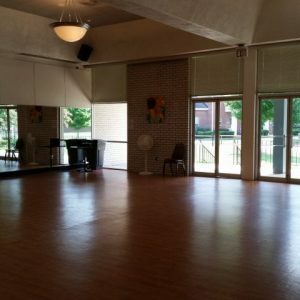 Our pool and yoga studio are sometimes available for rent as well. Please contact Jody Frazier at 980-585-0521 or jfrazier@ywcacentralcarolinas.org to confirm availability of the room before making a payment. Note: No alcohol permitted and no weekends. 484 sq. 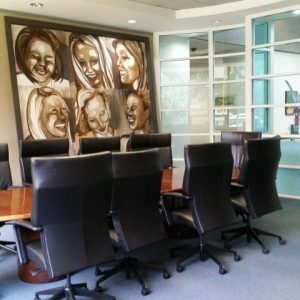 ft. – A beautiful space with a board conference table that seats 10 people and 2 small round tables that seat 4 each. The rental rate is $40/hr. 830 sq. ft. – The medium-size room accommodates 30 people with 6′ tables and chairs placed in a U-shape. A projector screen is available but you must provide your own projector and cables. The rental rate is $85/hr. 1,237 sq. ft. – The large multi-purpose room accommodates 75-100 people with 4′ round tables and chairs or auditorium-style seating. If room setup is needed, the rental rate is $115/hr. If no setup is needed, the rental rate is $85/hr.